Welcome to the 21-Day Attract Clients NOW Challenge! 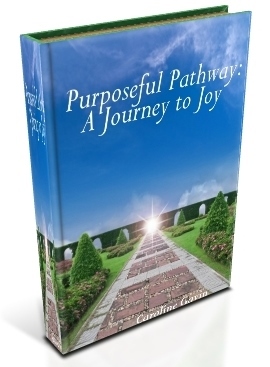 My name is Caroline Gavin; I am a Christian Business Coach, Author of Purposeful Pathway and Host of Purposeful Pathway Radio. I invite you to sign up for this Free 21-Day Client Attraction video series via the form above (or below). Are you a heart-centered entrepreneur desiring to change the world for good with the gifts God has given you? Are you struggling, though, to find clients consistently? Do you find that people love your message but are not buying from you? If you have said “yes” to any of these questions, I want to encourage you. I have been there, and I feel your pain; you want so much to help others, you want so much to make a difference…and yet you can only to do so if others sign up for that transformation. So I invite you to say goodbye to that frustration once and for all! Take the next step by signing up for the free 21-Day Attract Clients Now video series; simply enter your name and email address above (or below). I look forward to seeing you as we work together to attract more clients and bring more joy to the world! This will be a fun, fruitful and profitable process for you. Thank you, and God bless you on your purposeful pathway! I would like to take this 21 day challenge. I am looking forward to sharing the results! I am grateful you have joined the challenge, Renee! Here’s to a fun and fruitful journey! God’s blessings to you on your purposeful pathway! I have signed up and am excited! Looking for new ways to attract clients. Thanks so much!